This easy-to-use digital camera is also a web cam and photo/video camera. Great for students' multimedia projects across the curriculum or whole-class demonstration of manipulatives in action, book pages, science models and more. Document student progress for assesment, then upload files to digital portfolios or share with other educators or parents. Connects via USB port to use with your PC (Windows 7, Vista, XP), or via your PC to projectors or interactive whiteboards. Boosts students' 21st-century skills and helps you reach beyond traditional teaching methods. 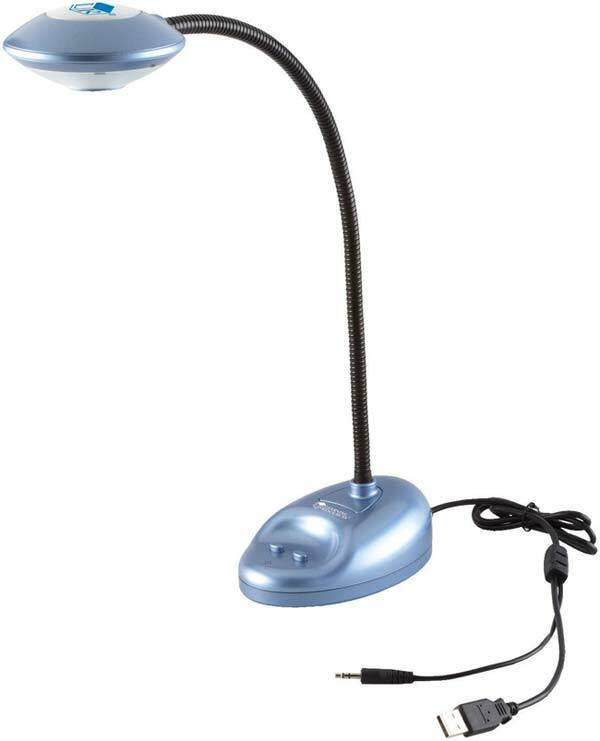 Features 3.0 MP digital images, adjustable gooseneck, auto focus, 8 LED lights, internal microphone, and SEN switch jack. Measures 20". Watch a two minute video here.